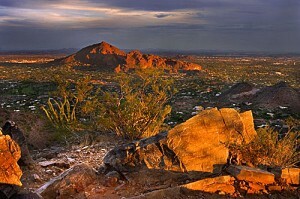 With so many wonderful Arizona cities to choose from, you may find it difficult to decide just which one you plan to call home! We’ve done a little leg work for you on our favorite cities within Arizona, which may help narrow down your choices. Just click on the links to the right to start your journey. Besides a little background and history on the city, you’ll find a direct link to current homes available. You can refine the results to your liking by editing the search criteria (square footage, price, etc.). Better yet, sign up for a Home Finder account so you can create custom searches that will be saved as well as receive notices when new homes come on the market in the city of interest. Or, if you want to start from scratch, just visit our Search MLS page. Happy home hunting and please do not hesitate to contact us if we can be of any assistance. Our goal is to make your realty dreams a reality!